Milwaukee has a public transit system, so you don’t need to worry about spending a lot of money on taxis to get to the places you want to go! The bus costs $2.25 per ride, or you can purchase a 10 ride pass or a week long pass (Sunday-Sunday) for $17.50. If you have a smart phone or similar device, you might find it easiest to use your device’s built in maps feature or google maps, which has built-in support for city busses, just click the bus looking icon and click route. It should give you step by step directions. The Milwaukee County Transit system also has a great route planner right on their home page, or you can also view/download the complete route guide here. There is a bus stop right in front of the Hilton Hotel which serves the following busses: Blue, 10, 12, 14, 23, 30, 31, & 80. The stop nearest the Hyatt serves the 19, 33, & 80. The Milwaukee Airport has service from the Blue, 10, 12, 14, 23, 30, 31. 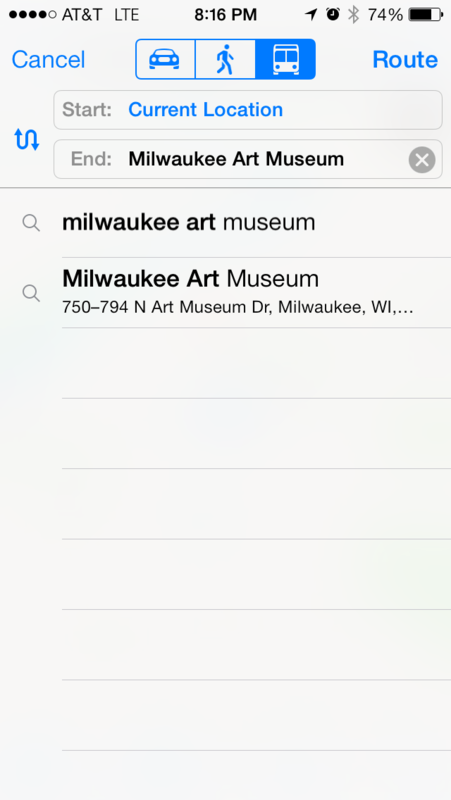 There’s a great chart of Milwaukee attractions and the busses that serve them here. When you board the bus, you will need exact change, then as the driver to call your street/destination point. Then pull the cord to signal the driver to stop. Please exit from the rear door of the bus when the green light is illuminated. The doors open automatically if you touch the center of the handles. You might also check out the “additional information” in the NCECA App for info about taxi service or rental cars.